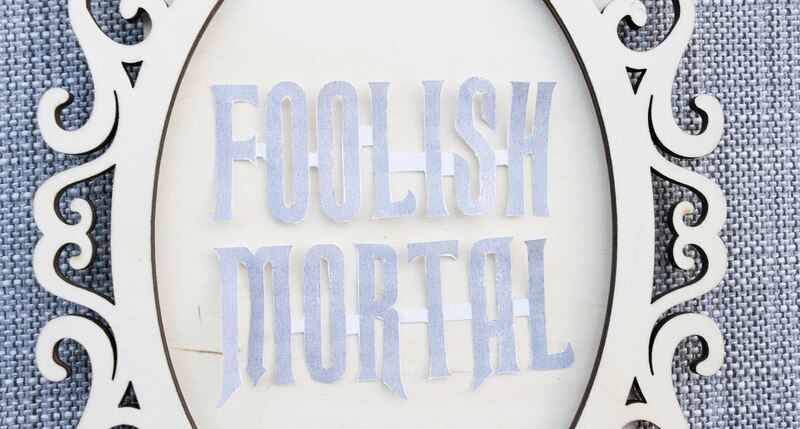 This DIY Haunted Mansion door sign makes a spooky addition to your haunted abode and will be sure to make you the perfect ghost host this Halloween season. 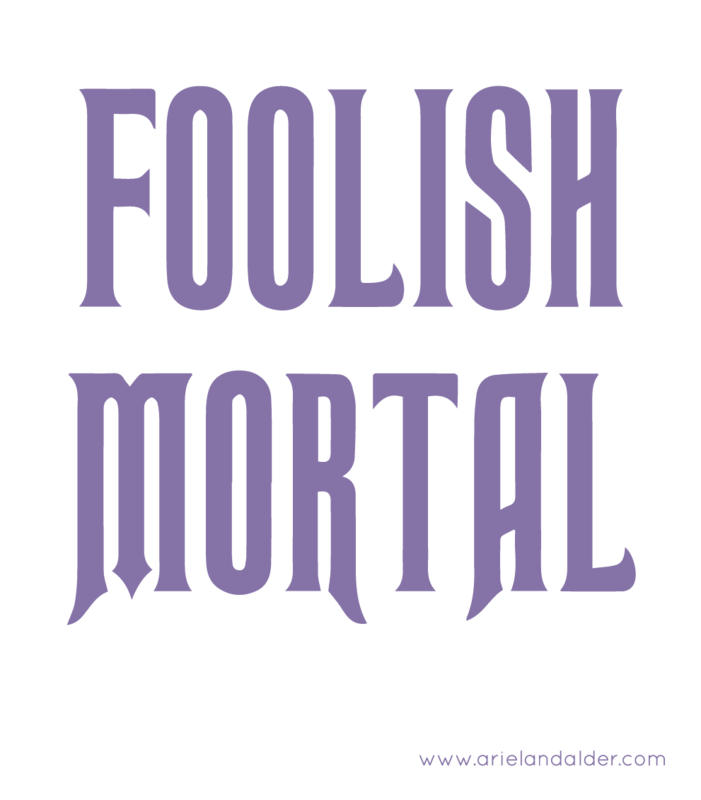 – The “Foolish Mortal” template, included in this post. 1. Print out your template and set aside, make sure it will fit in your frame and if it doesn’t downsize the scale when printing. 2. 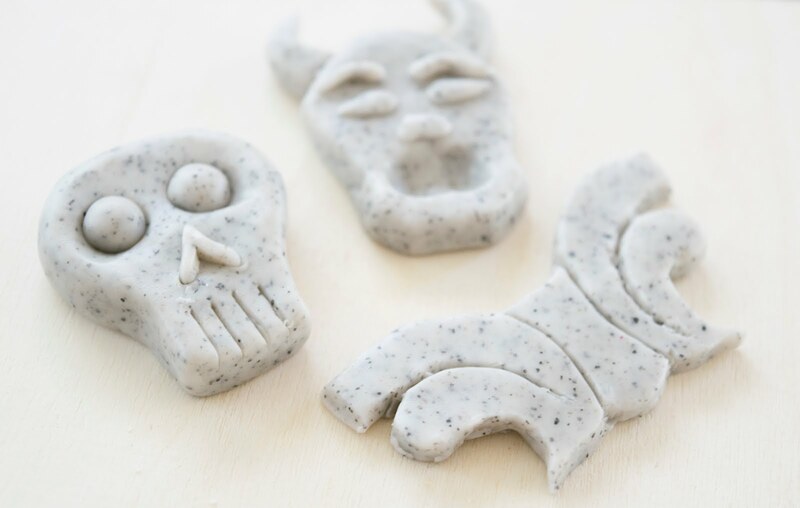 Use polymer clay to create 3 figures. For the top portion of the sign, a horned face and arch and for the bottom a skull. Bake these for 30 minutes at 250 degrees, let cool for 3 hours on a flat surface. 3. 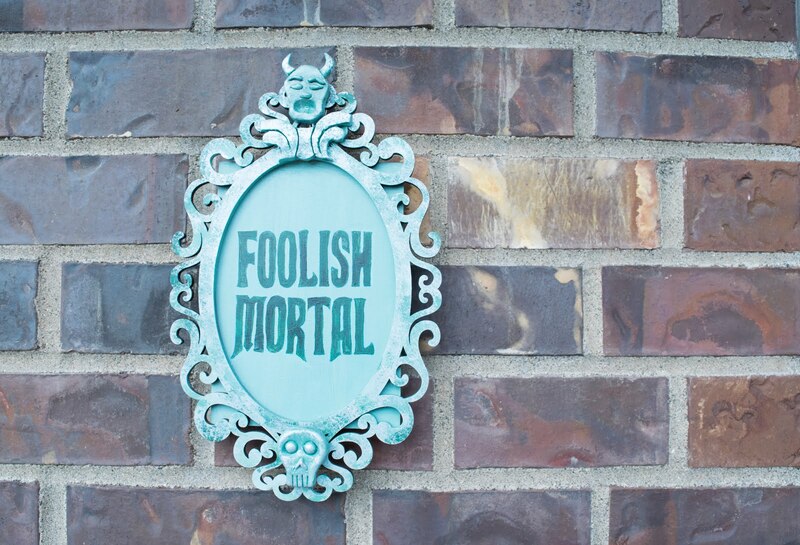 Paint your frame and backing mint green, also paint your clay figures once completely cool. 4. 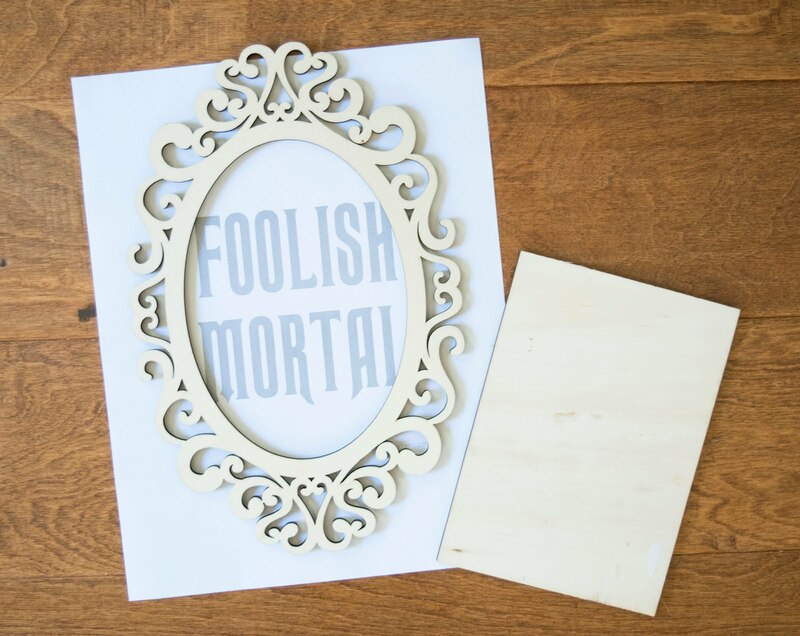 Assemble your frame and cut out your template letters with an Xacto Knife, trace and paint in lettering. 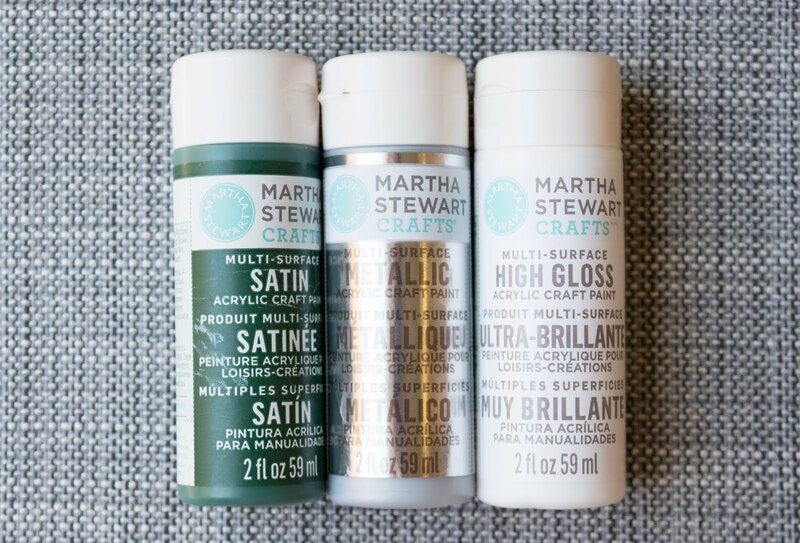 Use a dark green colored paint for contrast. 5. Glue clay figures to your frame. 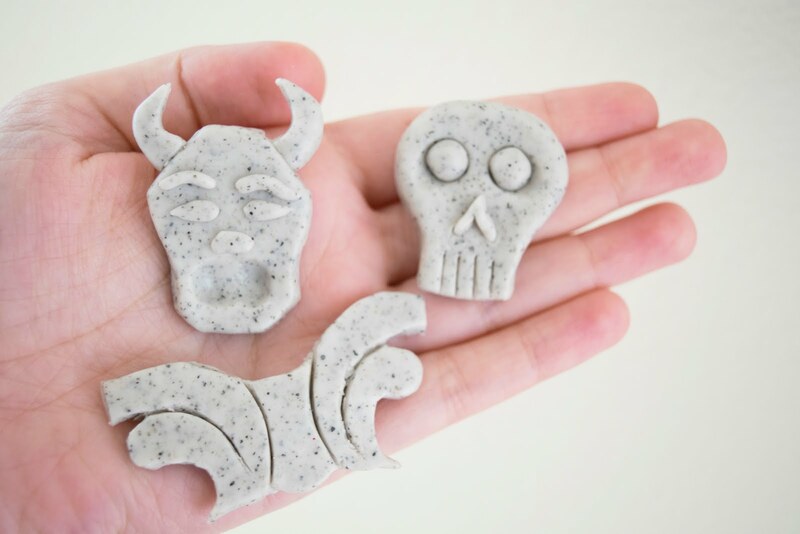 Separator image Posted in Disney, DIY, Halloween. on other blogs? Love this! Wow such a cute idea! I love this for Halloween! WOW! 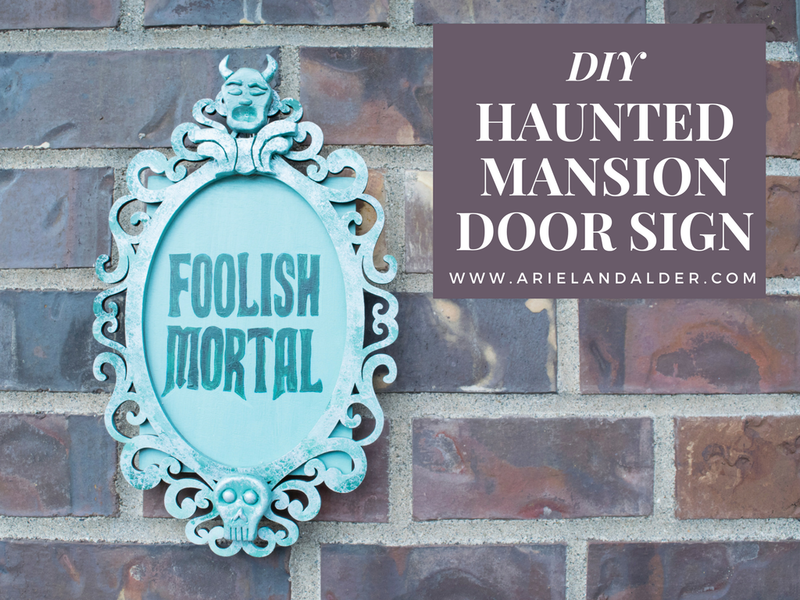 Haunted Mansion is my favorite ride and this is such a fun DIY. Omg!! How cute, haunted mansion is my all time favorite ride!! This is the CUTEST!! Haunted Mansion is my favorite ride.